Don't be deceived by its plain pale blue appearance. 'Shooting Star' contains coloured embeds inside which shoot colour out of the points of the star as it fizzes around the bath. 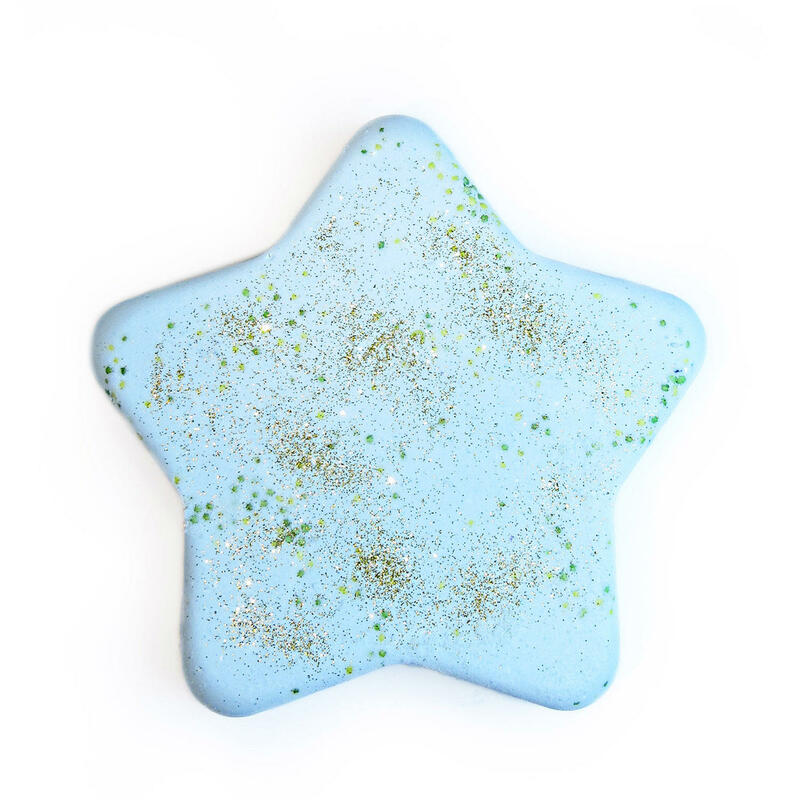 'Shooting Star' is fragranced with a zesty awakening lime fragrance with a hint of sweet berries and will leave the bath water a lovely shade of purple.